Transparency and Medicare auditing: Who's cheating whom? I might not always agree with a speed limit that seems too high or too low. In fact, some seem to serve to disrupt a smooth traffic flow or fail to recognize areas where a slower speed might be more practical. However, I appreciate clear and accurate signs of what the speed limits are so that I have the opportunity to obey and avoid inadvertently breaking the law. 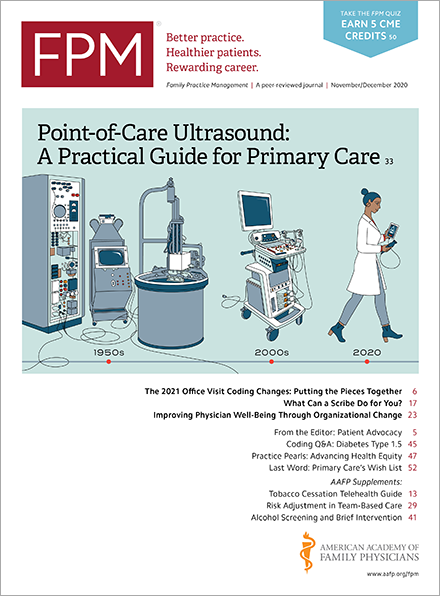 Earlier this year, I wrote in Family Practice Management about differences in the guidance given about evaluation and management (E/M) coding and documentation by Medicare Administrative Contractors. I have since learned that one contractor, with the support of the Centers for Medicare & Medicaid Services(www.cms.gov), still refuses to post their speed limits. Under the guise of protecting the Medicare program from fraud and abuse, one Medicare contractor refused a request for information from a group of coding professionals who want to be sure that the physicians they work with are selecting their E/M codes with the same criteria as the Medicare contractor who might audit them. "Exemption 2 of the FOIA (5 U.S.C. 552(b)(2)) protects documents or portions thereof 'related solely to the internal rules and practices of an agency.' It also protects administrative enforcement manuals the disclosure of which would harm the agency’s ability to properly administer the program. The auditing guidelines are for the use of government reviewers and examiners. Release of these guidelines would risk circumvention of agency regulations without detection by parties subject to such regulations." Shouldn't education of providers include full disclosure of the measures they need to meet? Is it fair to determine that a level of service is incorrect without disclosing the criteria on which the determination was based? If anyone from CMS or the Medicare contractor who made this decision happens to read this blog, please recognize that even using the score sheets for E/M services, many physicians find the rules difficult to interpret, and few have the time or desire to figure out how to use these to "circumvent" the regulations. If you will provide clear and easily accessible information on what you expect, I think you will find that the majority of physicians will follow your lead. Anyone who purposefully charges for higher levels of service than they provide or document probably thinks they will never be audited anyway. Home / Journals / FPM Home / Getting Paid Blog / Transparency and Medicare auditing: Who's cheating whom?